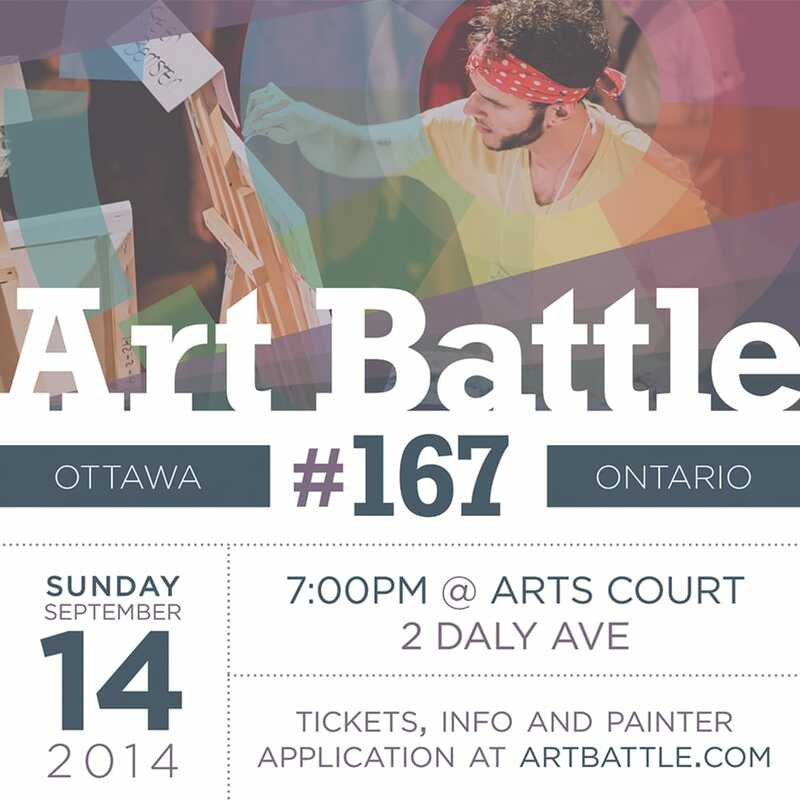 Art Battle Canada returns to Ottawa for the opening event of our Sixth Season! Please join us at Arts Court on Sunday September 14th for an exciting night of live competitive painting. 12 local artists will compete for the title of Art Battle Champion, a cash prize and spot in the Ottawa Finals at the end of the year. 2013/2014 Ottawa Finals Champion Allan Andre represented the city in the National Championship at Maple Leaf Gardens in Toronto on July 26th. Art Battle is live competitive painting. Painters create the best work they can in 20 minutes. As they work, patrons move around the easels, closely watching the creative process. The medium is acrylic paint and the tools allowed are brushes, palette knives or any non-mechanical implements. At the end of the round, the audience votes democratically for their favourite painting and bids in silent auction to take the work home. 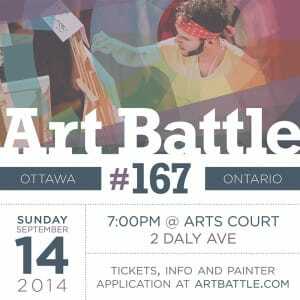 This is the opening event of Art Battle Canada’s 6th season!